Ehlenbach’s Cheese Chalet has been family owned and operated for over 49 years. Our family and staff are dedicated to providing the best service possible to you, our valued customer. 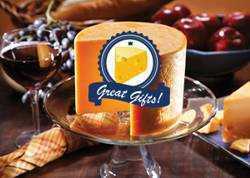 We have a great selection of delicious Wisconsin cheeses and meats, including cheese gift boxes, logo merchandise and even cheese heads! Click here and start shopping. 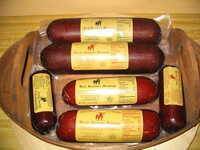 We have over 300 different kinds of Wisconsin cheeses and Wisconsin-made all beef summer sausages. We also have many gourmet items, candy, domestic wines, and a wide variety of gifts and Wisconsin memorabilia to choose from. We now have a line of Unique & Specialty Cheeses, including delicious favorites such as 8 oz. Chocolate Cheese Fudge, Baked Bread Cheese, Blueberry Cheddar, Double Cream Brie and others. Cheddar cheese from Mild up to 14 Year Aged Cheddar ... we have a Cheddar for Everyone! Be sure to try our Specialty Blue Cheeses, created on site and only available at Ehlenbach's Cheese Chalet! 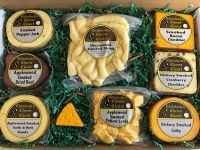 We have 21 different Gift Boxes and Baskets ready to ship and made with varying varieties of our most popular Wisconsin Cheeses. Pressed for time? Our Electronic Gift Certificates feature INSTANT DELIVERY! Looking for a little Spice in your life? Anything from a "small heat" to "OMG ... that's just CRAZY!" Our HOT-HOT-HOT cheeses have you covered. Cheese Curds and String Cheese are a Wisconsin Favorite! and make GREAT quick snacks! Smoked Here on Site, our Specialty Smoked Cheeses can only be found here at Ehlenbach's Cheese Chalet. We also have 183 other products such as gourmet foods, non-food gifts and meats such as bratwurst, sausage, snack sticks and beef jerky! If you're in the area, stop by and visit Sissy The Cow. We're only a little out of the way (just minutes north of Madison off I-90) and you can always order cheese online no matter where you live. If you have any questions, feel free to contact us online or call us at 608-846-4791 or toll free at 800-949-4791. One of our friendly staff will be happy to help you. 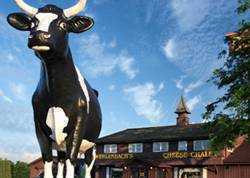 Page Summary: Ehlenbach's Cheese Chalet offers wi cheese, sausage, gift baskets, cheese curds and cheese shop. Products such as cheese online, cheese gifts, cheese gift baskets as well as cheese baskets are also part of the scope of our business. 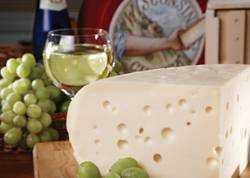 We also specialize in cheese shops in wisconsin, best cheese in wisconsin in WI, Madison, Waunakee as well as Sun Prairie. 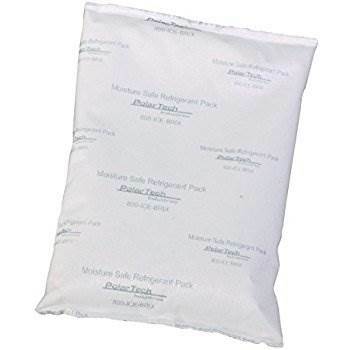 Other areas we serve include Middleton, Milwaukee, Janesville and Portage. We also service Kenosha, Stoughton and beyond.